Join us in the historic town of Carcassonne for a rigorous and thorough 2-day seminar this October. The 2017 Spirent GNSS Testing Training Seminar features training led by Spirent product managers and engineers on state-of-the-art GNSS simulation and test equipment. 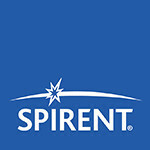 A number of Spirent customers will also present case studies, detailing interesting examples of how they are using Spirent equipment to solve their GNSS testing challenges. There is no charge for the training which includes lunch on 18th and 19th October. However, we do request attendees advise us well in advance if they are unable to attend so we can advise the hotel and not incur any unnecessary costs. Travel, hotel and dinner costs are the responsibility of delegates. Wednesday 18th and Thursday 19th October 2017. The seminar is taking place in Carcassonne, an historic city located approximately an hour's drive from Toulouse.